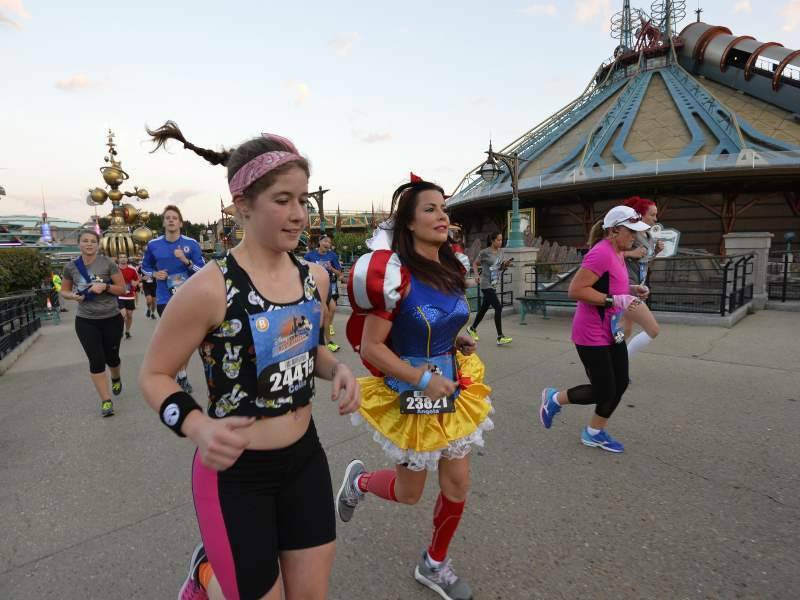 Take a magical run on the most enchanted course on Earth! 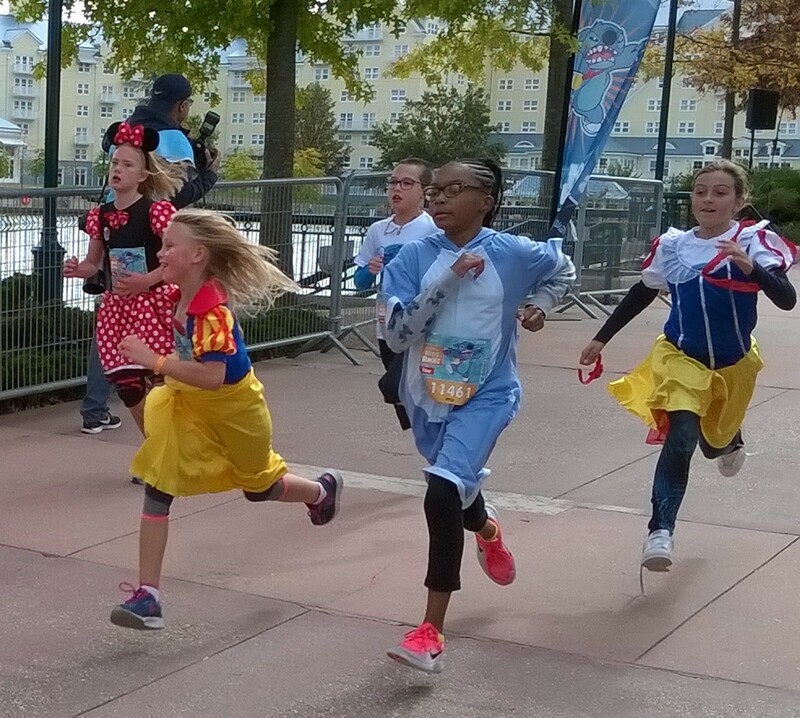 Run a truly magical half marathon or one or all of the shorter races through Disneyland® Paris! cheered on by Mickey and friends. 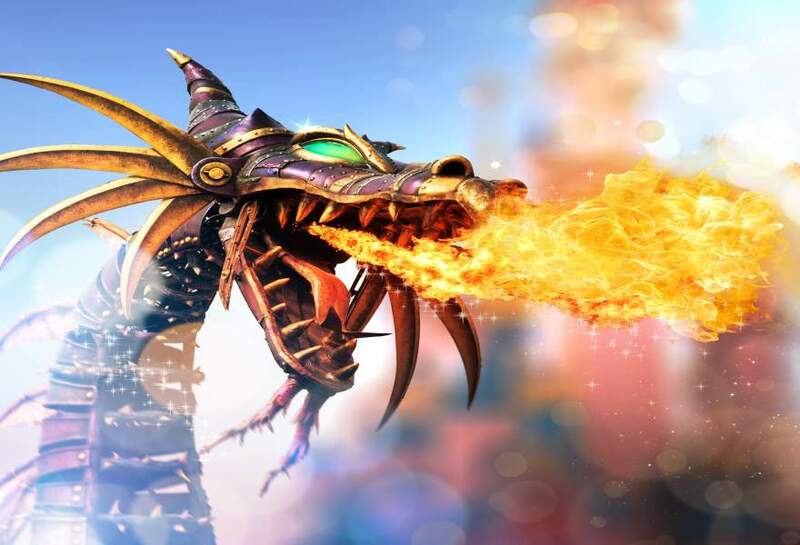 Experience Disneys’ spectacular entertainment and hospitality throughout your stay. 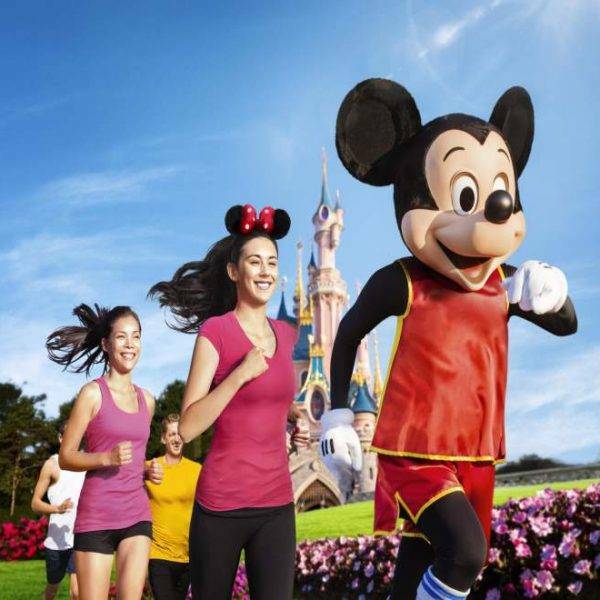 Receive entry to Disney® parks alongside your hotel stay and take part in your choice of a selection of running events. 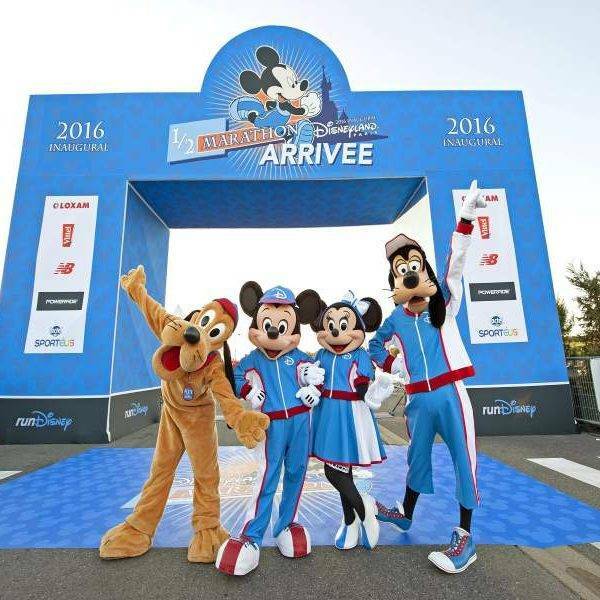 The main race, Disneyland® Paris Val d’ Europe Half-Marathon takes place on Sunday morning with up to 8,000 runners from all over the world lined up at 7am to complete the 13.1 miles or 21.1 km through Disney® Parks and the surrounding areas. 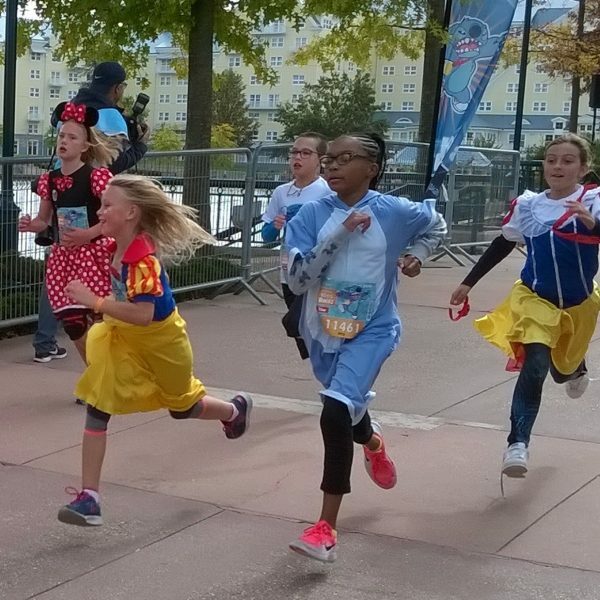 On the days leading up to the Disneyland® Paris Val d’ Europe Half-Marathon , there are lots of runs for the family to get involved in, including the Disneyland® Paris 5K, and the Disneyland® Paris 10K, plus a number of children’s races. 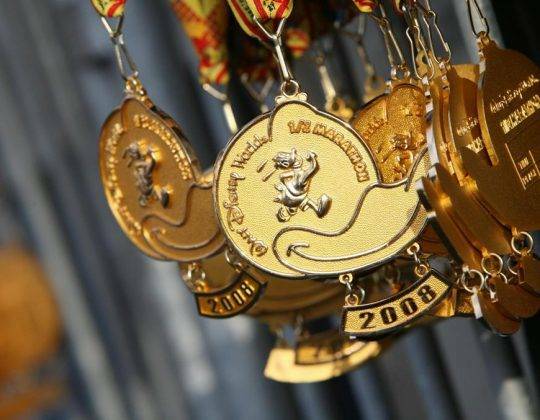 You can also combine races by buying a Challenge entry (that offer extra medals for completion) with options for 31K (Half-Marathon and 10K) and 36K (Half-Marathon, 10K and 5K) distances. Please note that you buy one entry for the challenges so not the various individual entries. 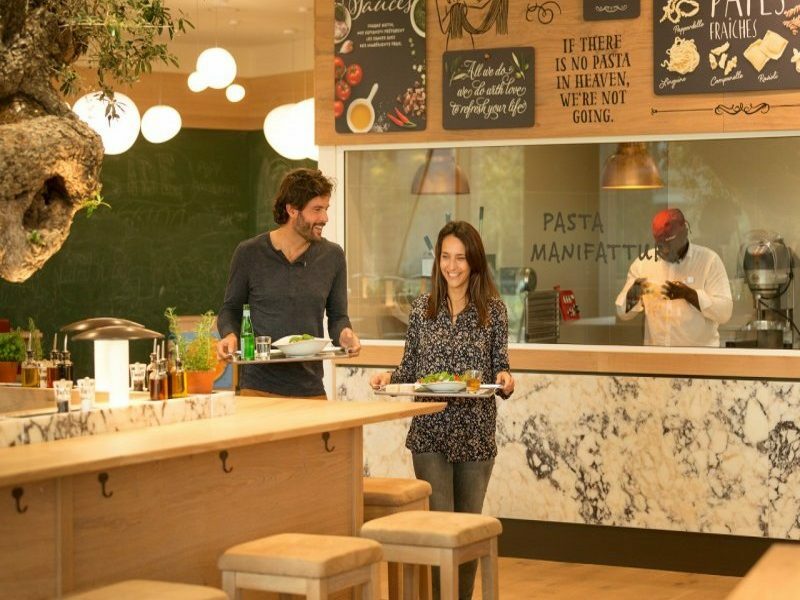 Breakfast options and lunch and evening meal options – info and prices on the hotel and pricing tab – click here for an overview of Half Board options Meal plans are not possible at the Village Nature. 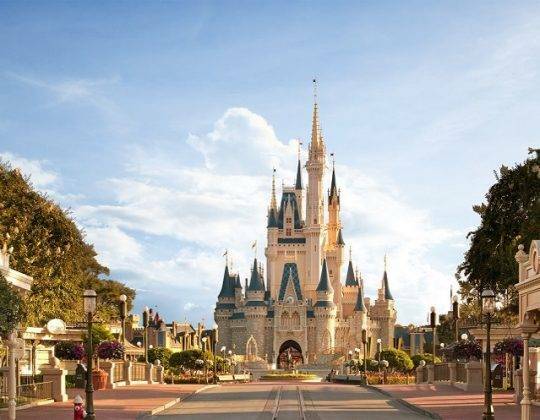 Included with your hotel stay are tickets which give you access to the Disney Parks for 2 days. These do not have to be consecutive. We offer you the opportunity to book more tickets by upgrading for the below prices. 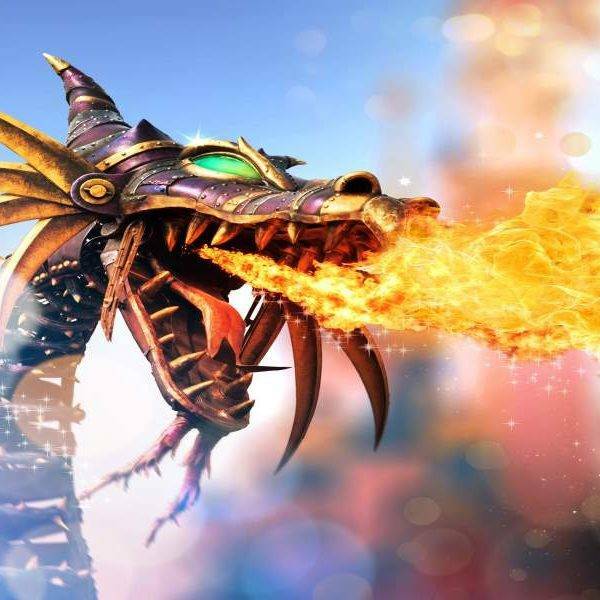 Theme park pass upgrades are not possible at Village Nature. Only 2 days applicable/included. 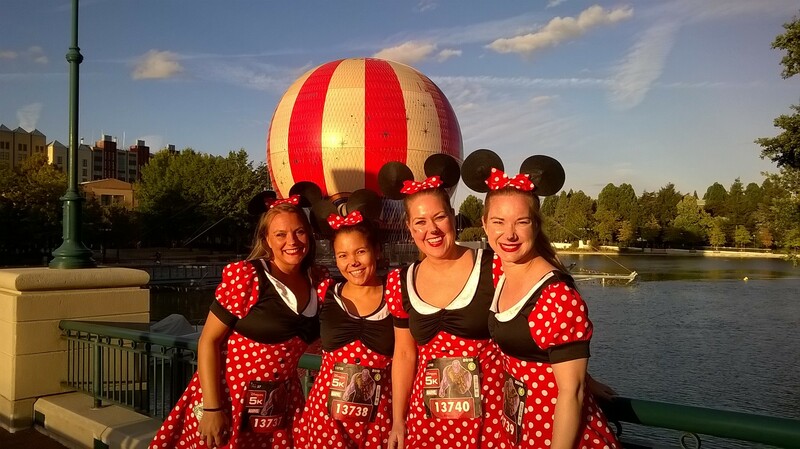 Collect photos taken during the different races of the Half Marathon Weekend, and the photos taken in the parks. 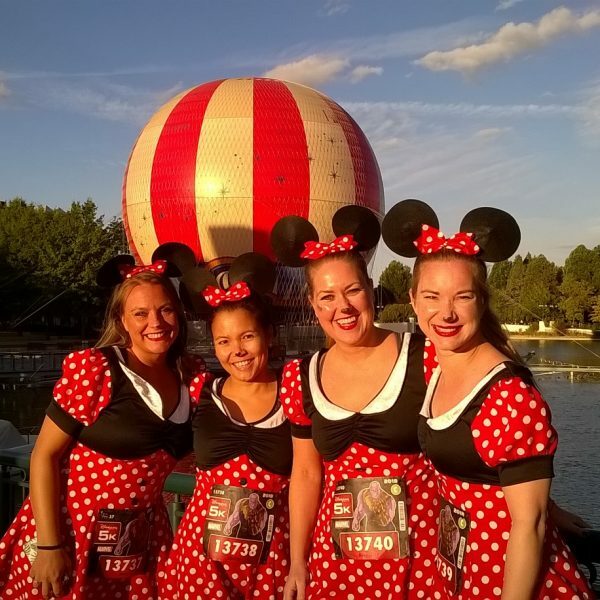 Maximum of 3 bibs on the same PhotoPass+ Run & Parks Package. 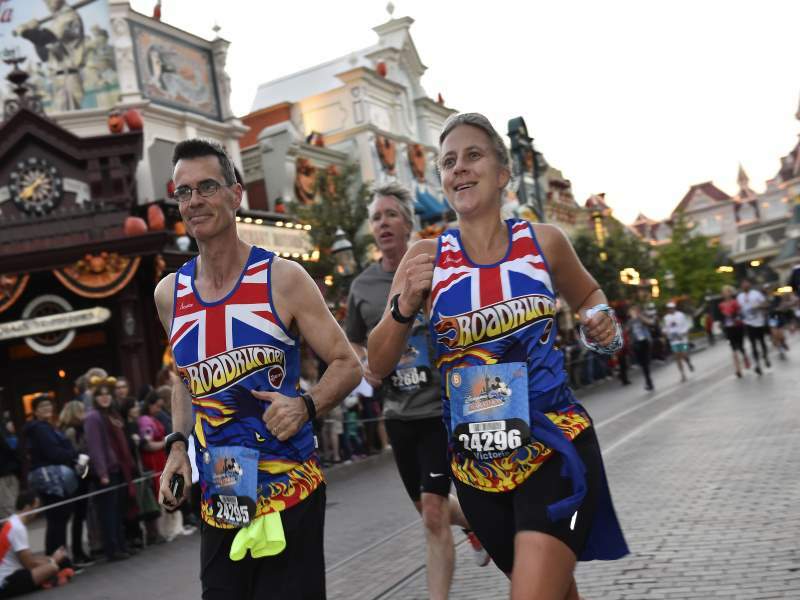 Example – if there are 2 runners on a booking, and you have purchased 5k, 10k and half marathon each. 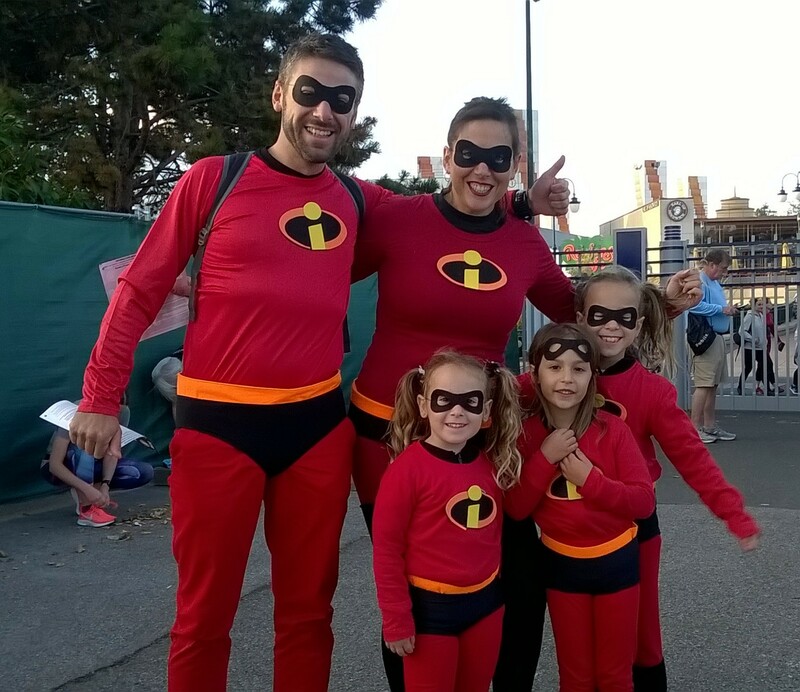 This is your maximum of 6 bibs and 2 x PhotoPass should be purchased. 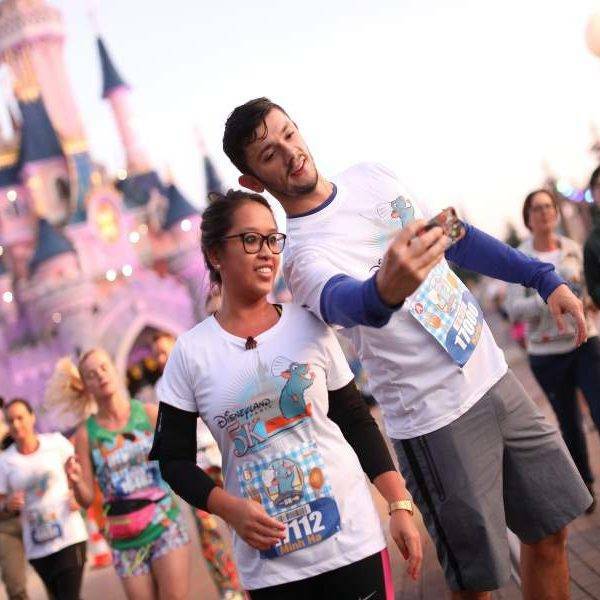 Collect photos taken during one of the different races of the Half Marathon Weekend, with the new developed system of automatic recognition of racing bib numbers. 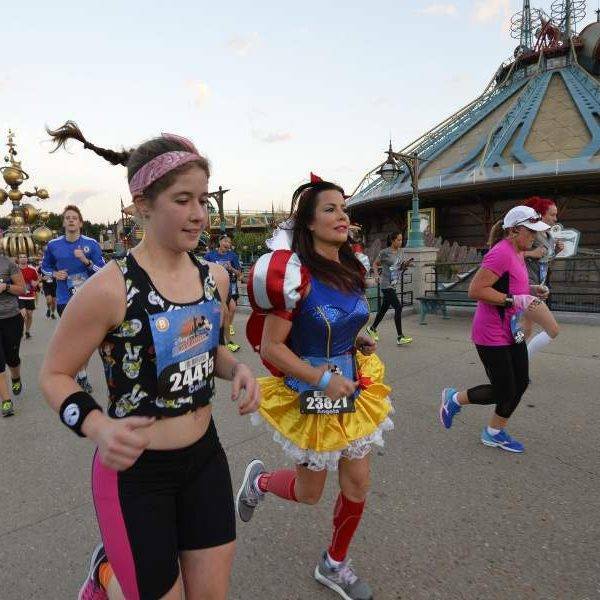 Maximum of 1 bib on the same PhotoPass+ Just Run Package. 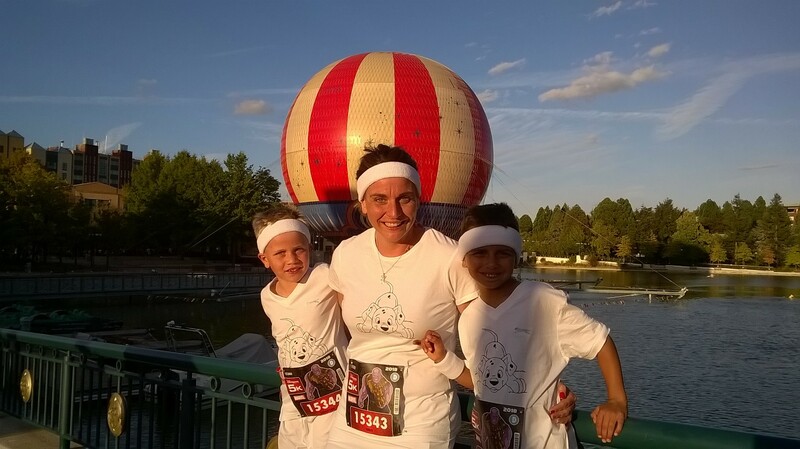 The 31k and 36k challenges count as one bib. 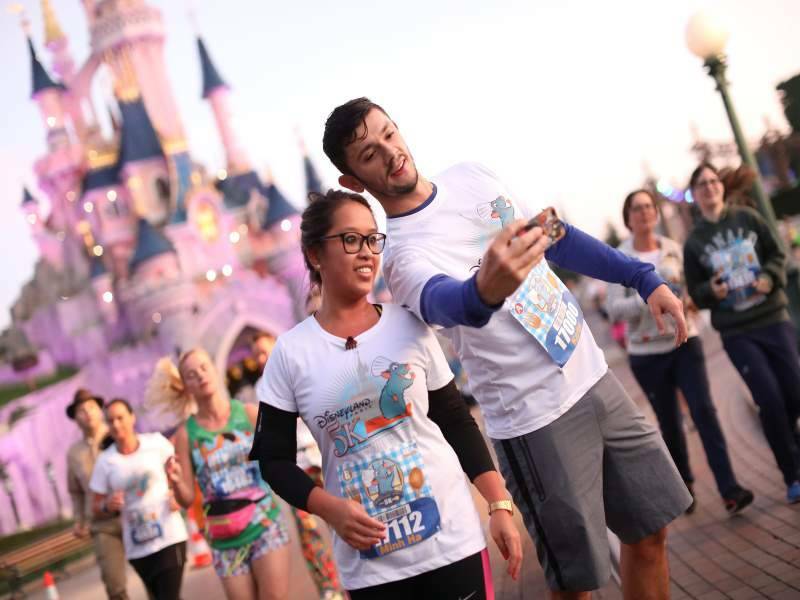 Collect photos taken during several of the different races of the Half Marathon Weekend, with the new developed system of automatic recognition of racing bib numbers. 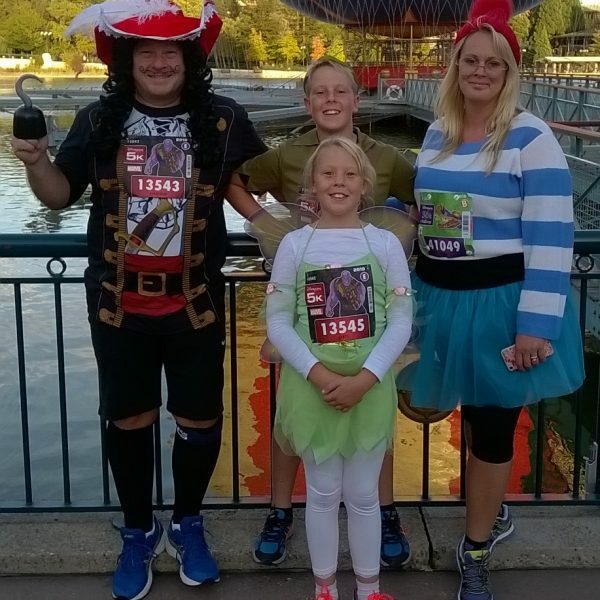 Maximum of 3 bibs on the same PhotoPass+ MultiRun Package. I had a very enjoyable trip. 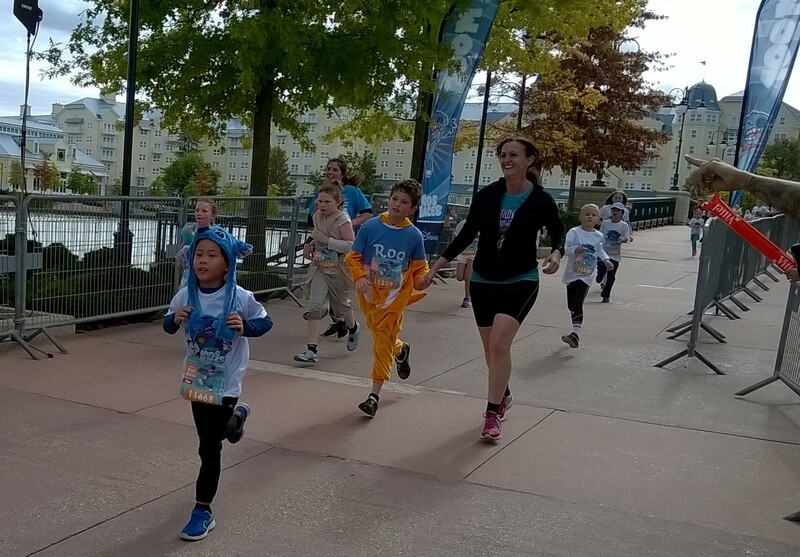 The race was organized and enjoyable. Thank you! 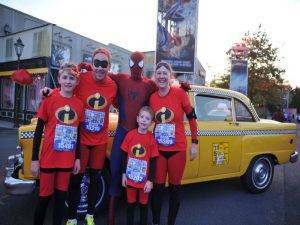 Really happy with the service from Sports Tours. 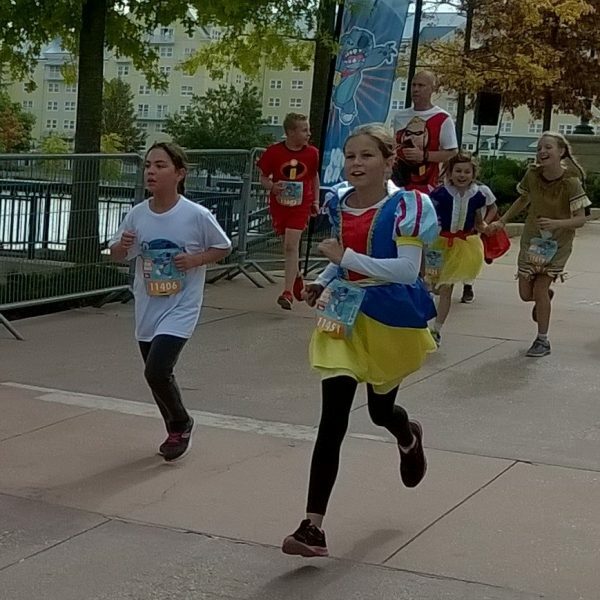 The Disneyland Paris half marathon required a mass of paperwork which we were guided through very professionally. I thoroughly enjoyed my weekend and would like to thank Vicki Roth as she was really helpful with dealing with some of our queries before we went. 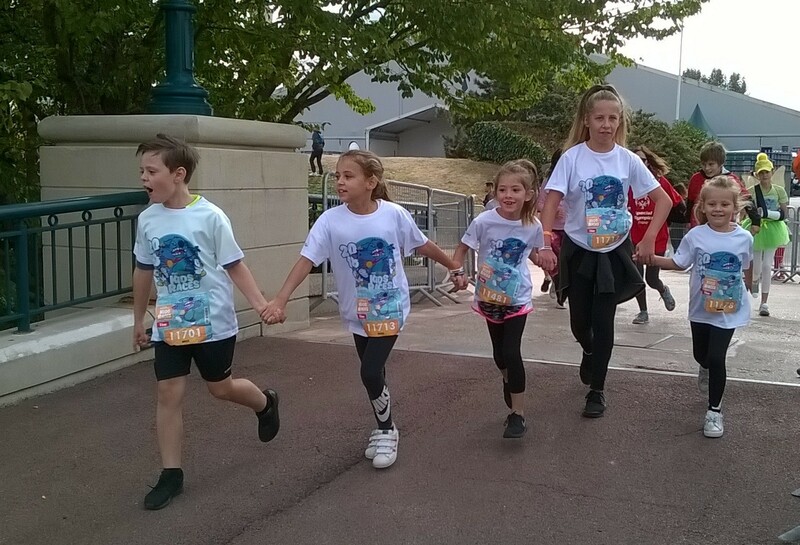 Please arrange your own travel to Paris and make your way to Disneyland® Paris. 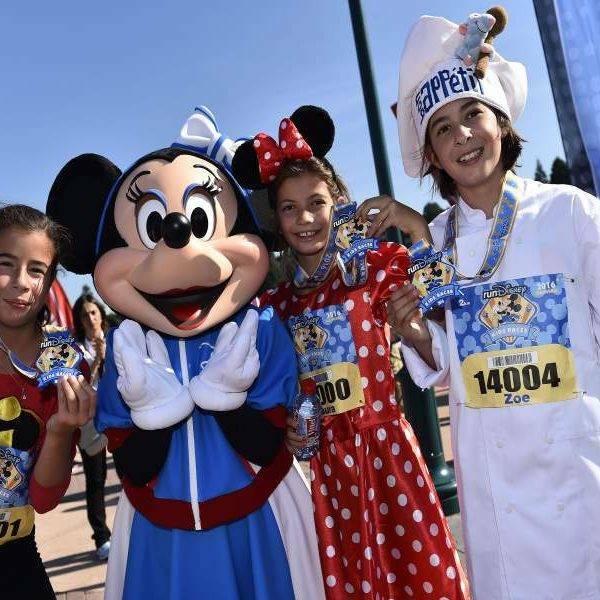 If you arrive today, please check into your hotel first before heading over to the runDisney Health & Fitness Expo to collect your bib and race number. 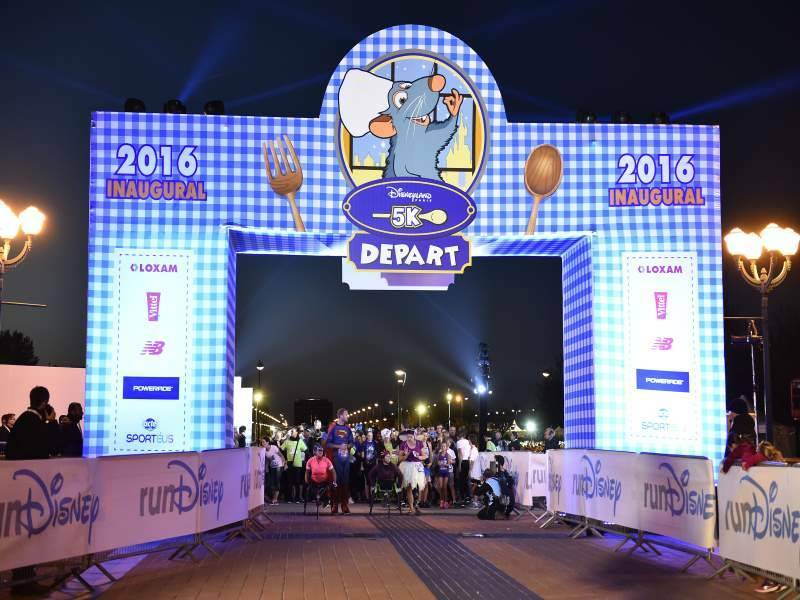 Every runner must attend the expo before the event. 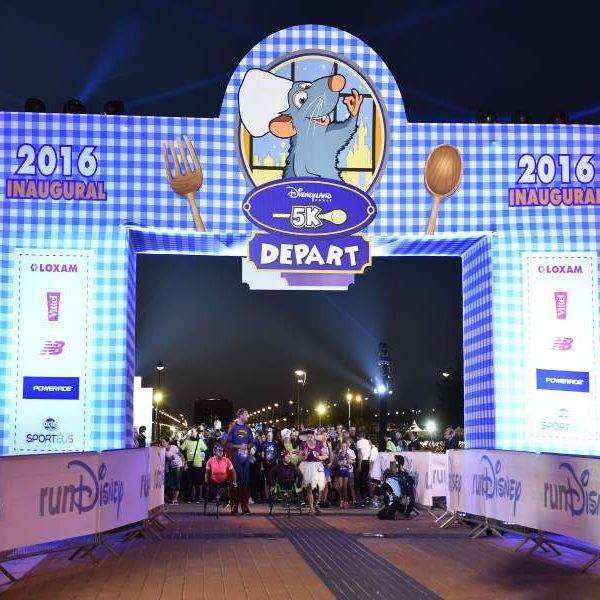 To register, please make sure you bring a valid photo ID, your medical certificate and a print-out of the confirmation of your entry. Our team will be available for assistance at our Sports Tours International stand at the Expo. 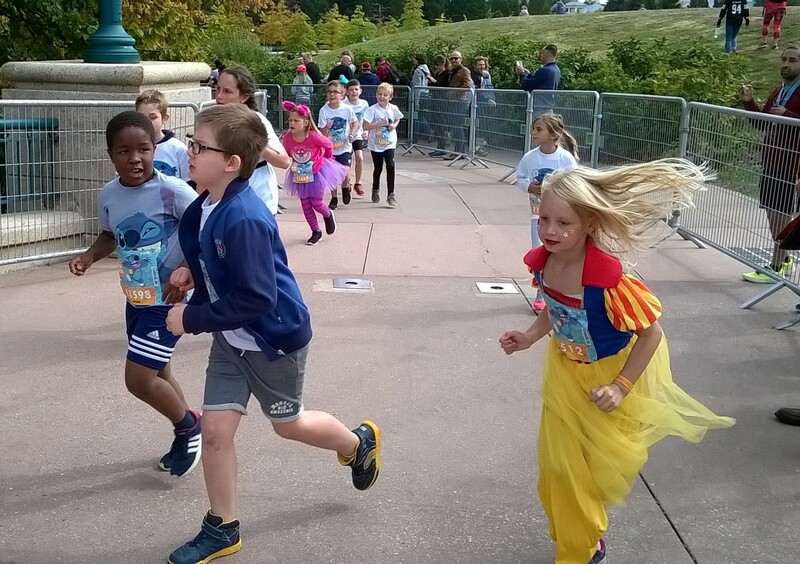 Feel free to spend this day exploring the wonders of Disneyland® Paris. 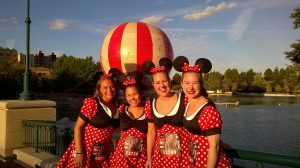 Every holiday package includes 2 park access tickets. 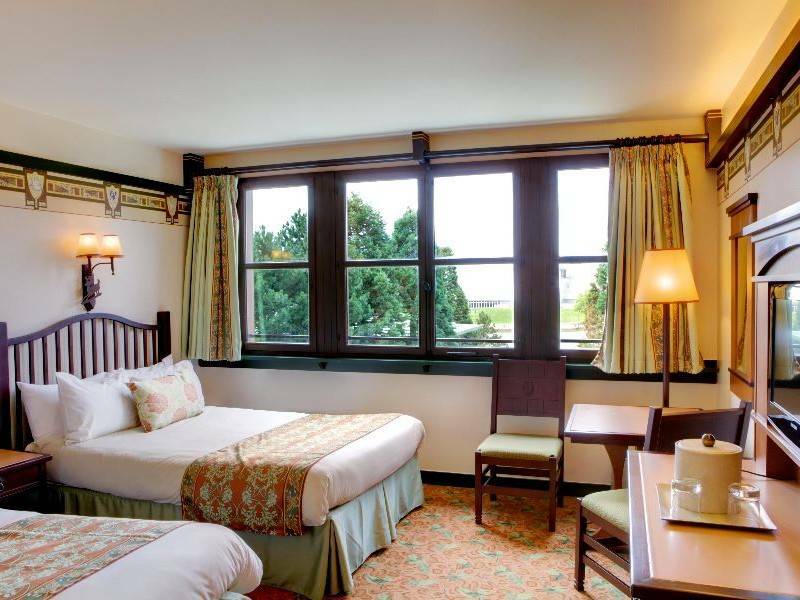 Extra days are available at an extra cost when you book with us. 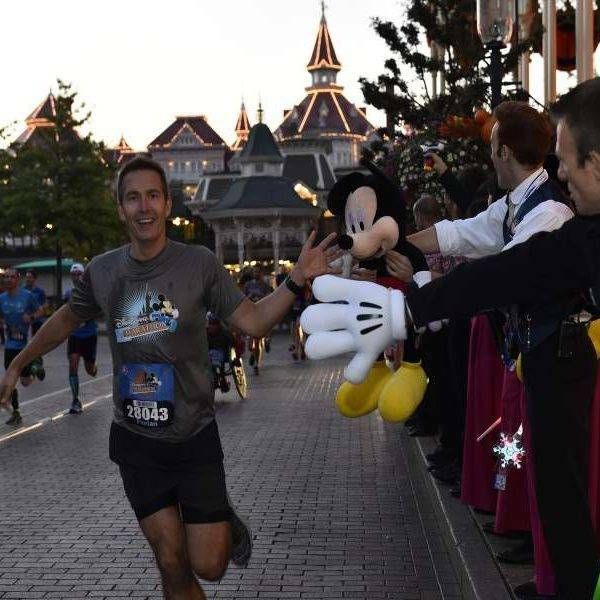 This evening at 20.00 the Disneyland® Paris 5K takes place for up to 6000 runners. 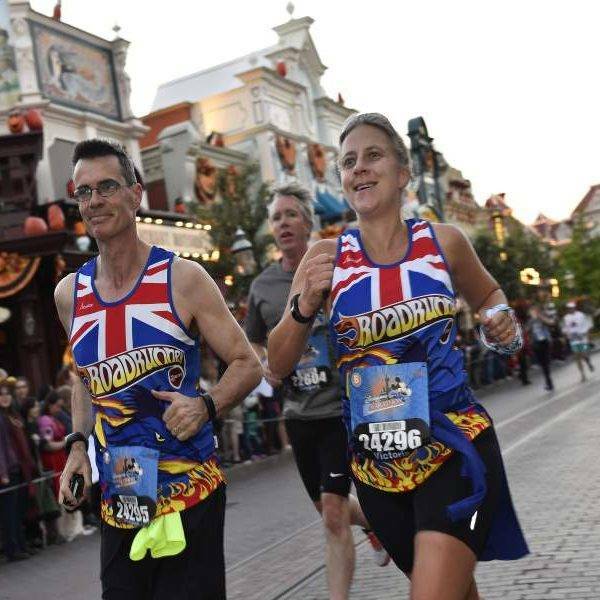 Included with your entry is a T Shirt, a personalised bib, a finisher medal, the official race programme and on-course and post-race refreshments. 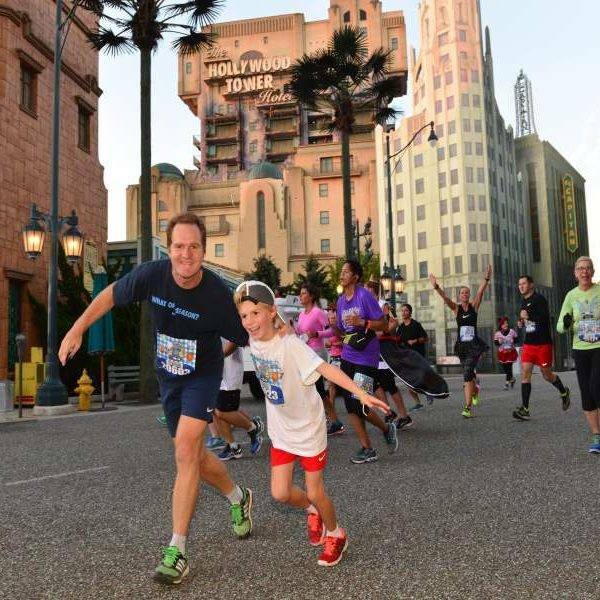 You will run 5K through Walt Disney® Studios. 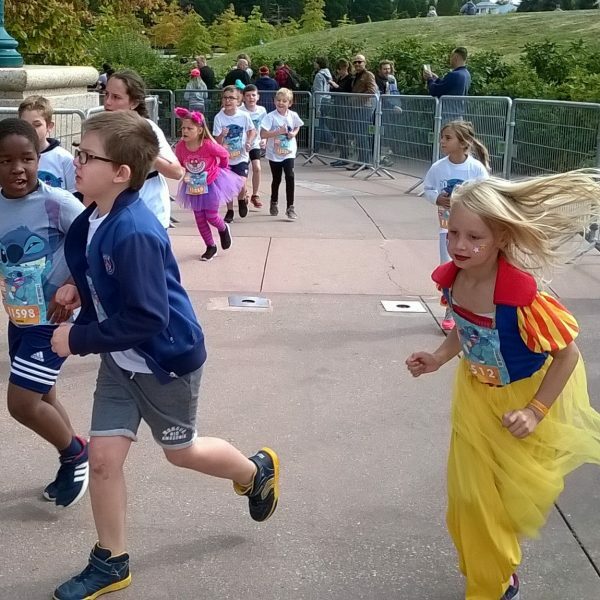 For the Disneyland® Paris 5K , the minimum age is 5 years old and adults 18 years+ need to accompany children between the ages of 5 and 12. To purchase tickets please select them as optional extras within the booking process. 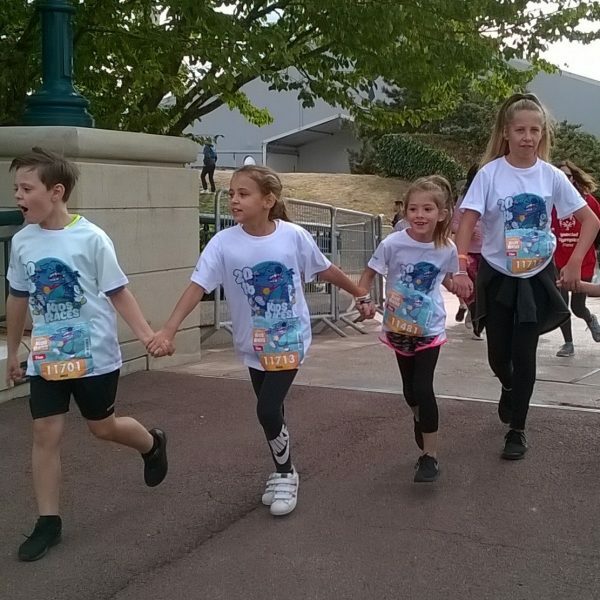 Today features a number of runs to get the whole family involved, there is no requirement for medical certificates for these family runs. 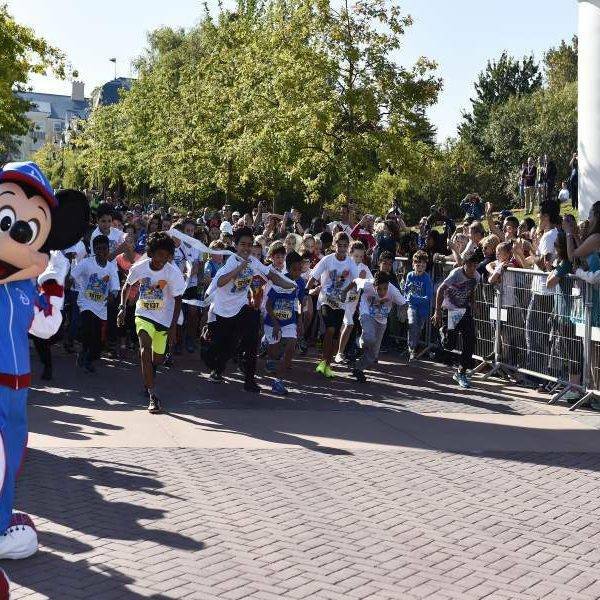 Saturday is also the last day of the runDisney Health & Fitness Expo , if you haven’t so far, then you must visit today. 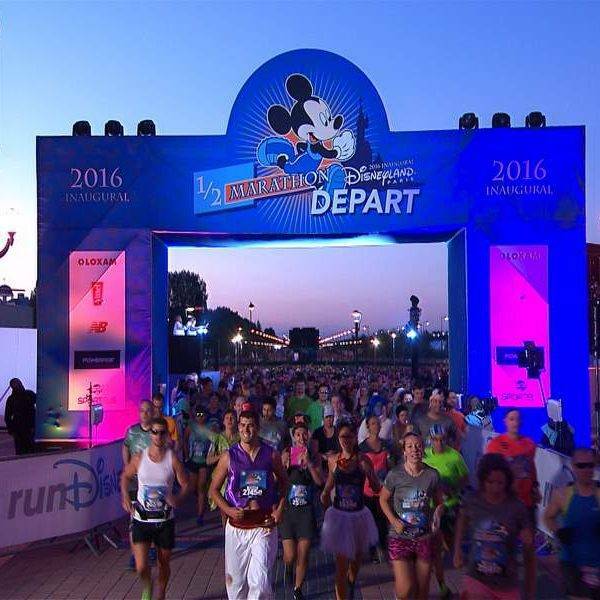 Today is the second edition of the Disneyland® Paris 10K. 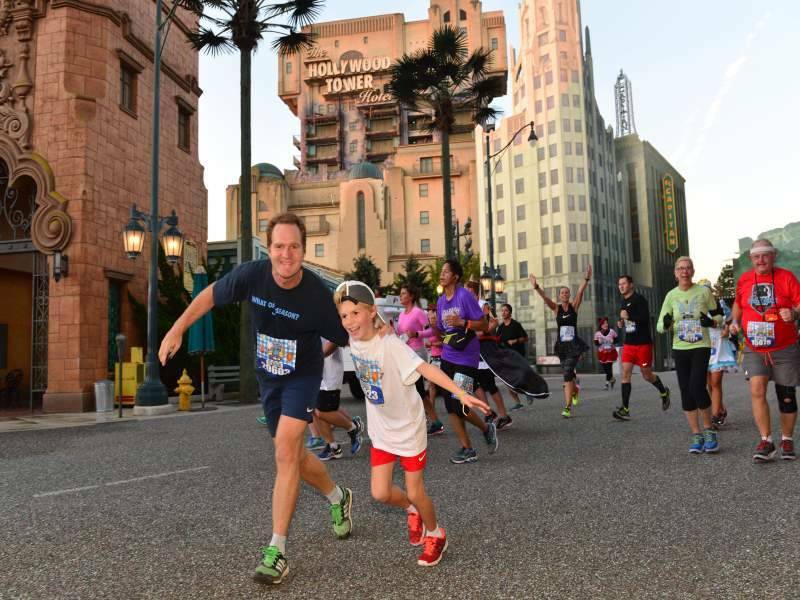 Join the run through the spectacular Disney® Parks. To purchase tickets please select them as optional extras within the booking process. On Saturday evening you can choose to attend the Pasta Dinner at 18.30 at the Newport Bay hotel. 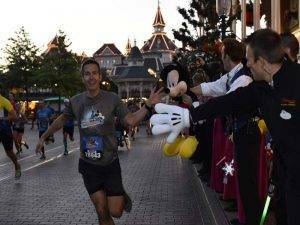 Come and enjoy a pasta dinner at Disney’s Newport Bay hotel and get your slow burning carbs before tomorrow’s Half Marathon. A special dinner for this sporting weekend. 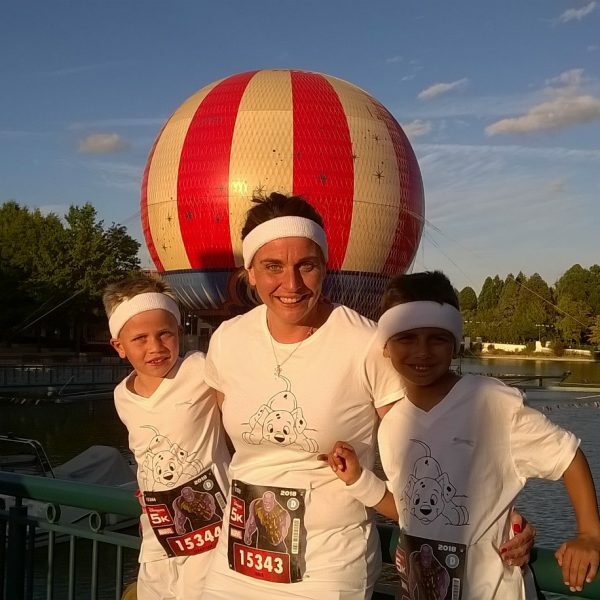 A meal prepared or you runners and your families in a relaxed and friendly atmosphere. 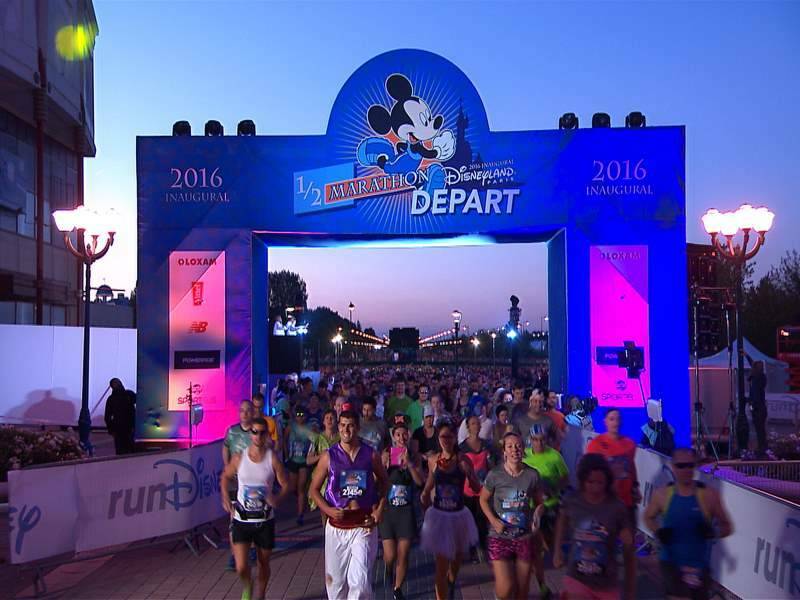 Disneyland® Paris Val d’ Europe Half-Marathon will take place this morning at 7am. 8000 runners will line up and run 13.1 miles through Disney® Parks and the surrounding areas. 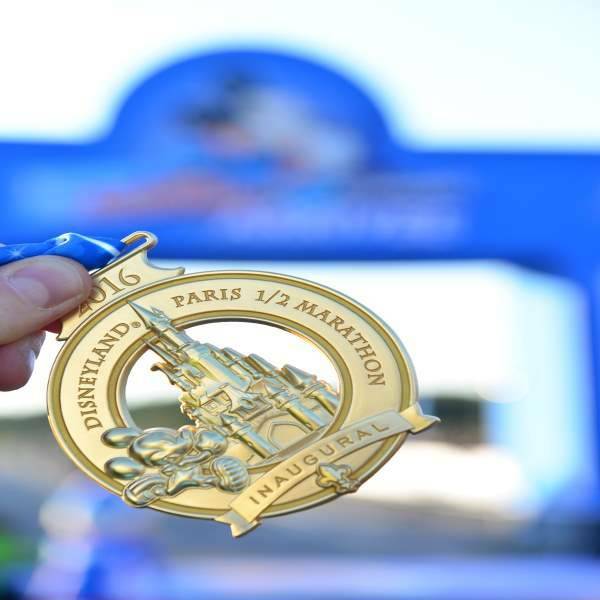 To run the Disneyland® Paris Val d’ Europe Half-Marathon you must be 18+ years old and you need a medical certificate to enter. 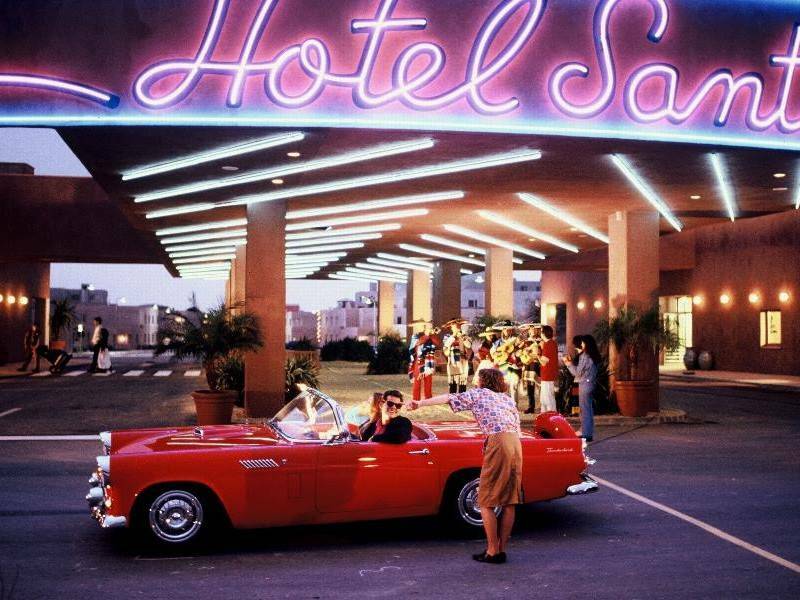 Please check out of your hotel and make your way home from Paris, buoyed by magical memories. 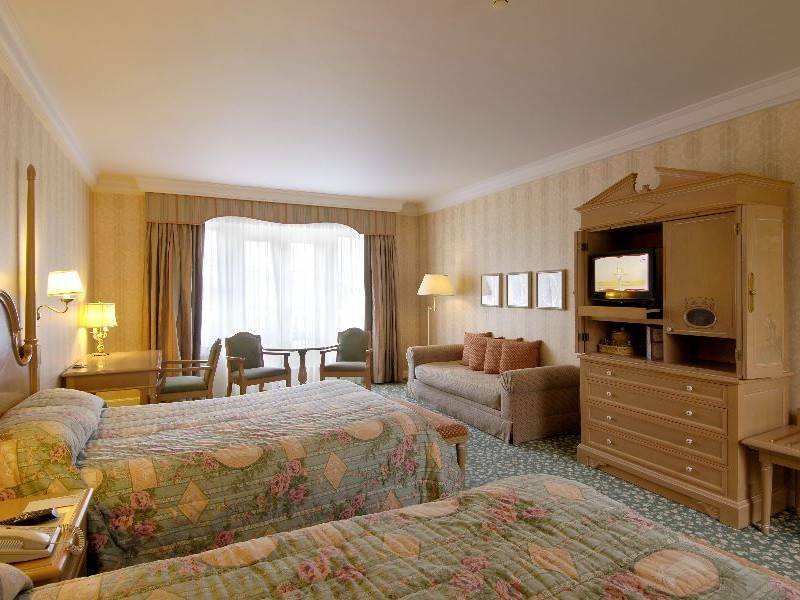 Your stay will be on a room only basis so no meals are included. You have the option to add breakfasts, lunches and evening meals at additional costs. These can all be added during the booking process. Meal plans are not possible at the Village Nature. The below prices are per person for the durations stated and include breakfast. 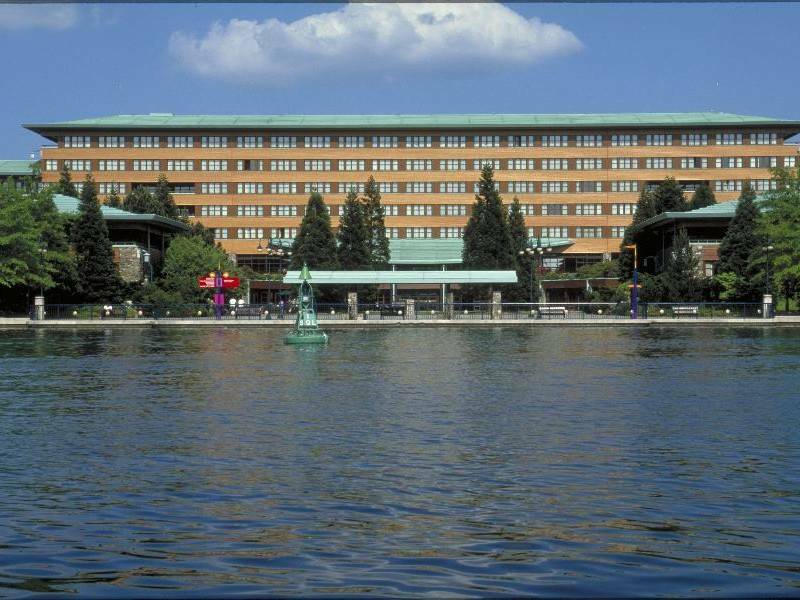 Awaken to a magical kingdom at your very feet at the Disneyland® Hotel. 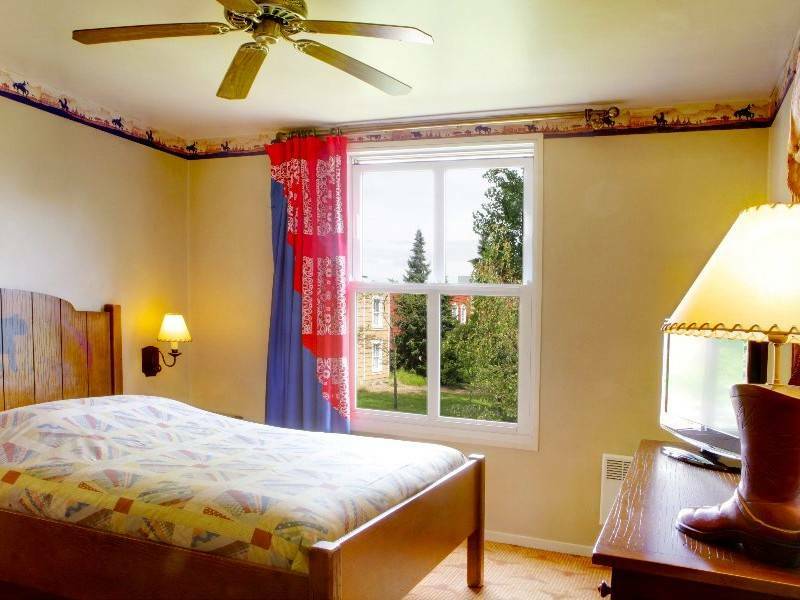 Savour the charms of yesteryear, and live it up in the unequaled style of a Victorian mansion. 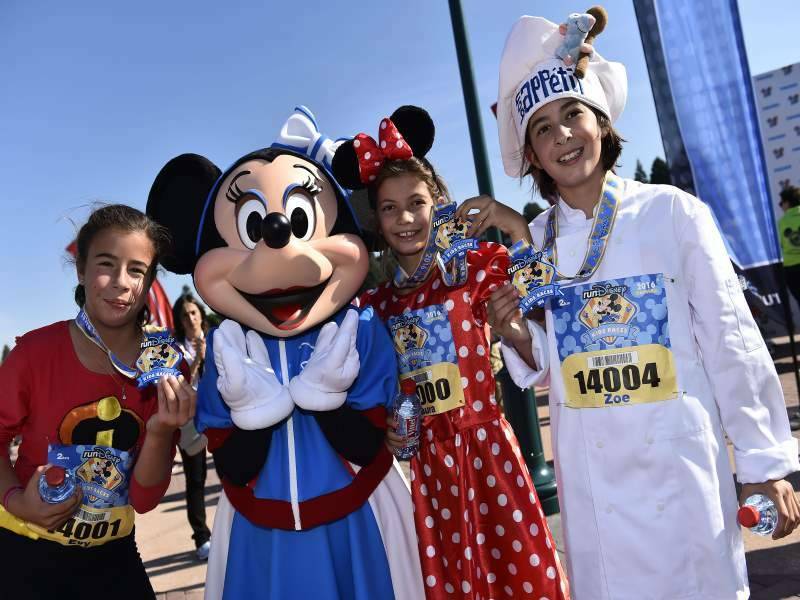 With Disneyland® Park right at your door, you’re ready for the ultimate Disney experience. 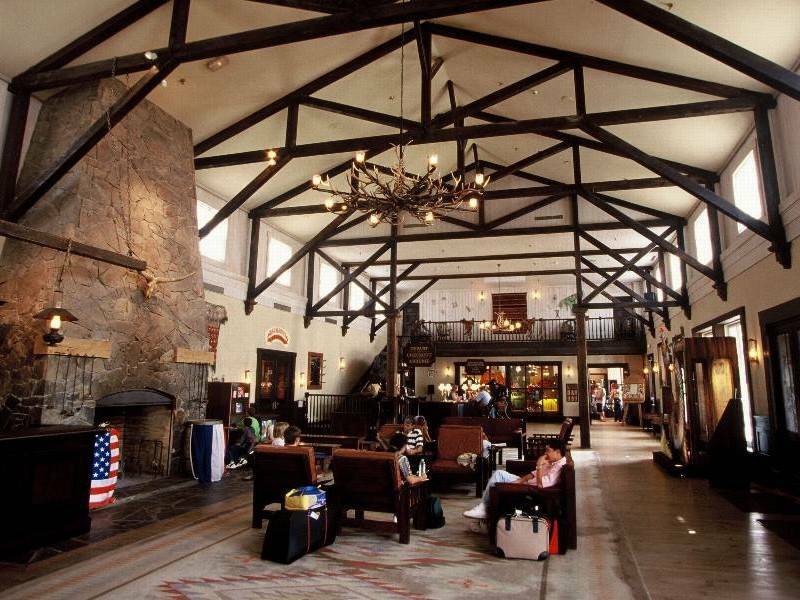 Relive the glory days of the great American railways when the finest hotels welcomed guests at the end of the line. Unforgettable! Soak up all the romance and adventure of sea travel’s golden age. 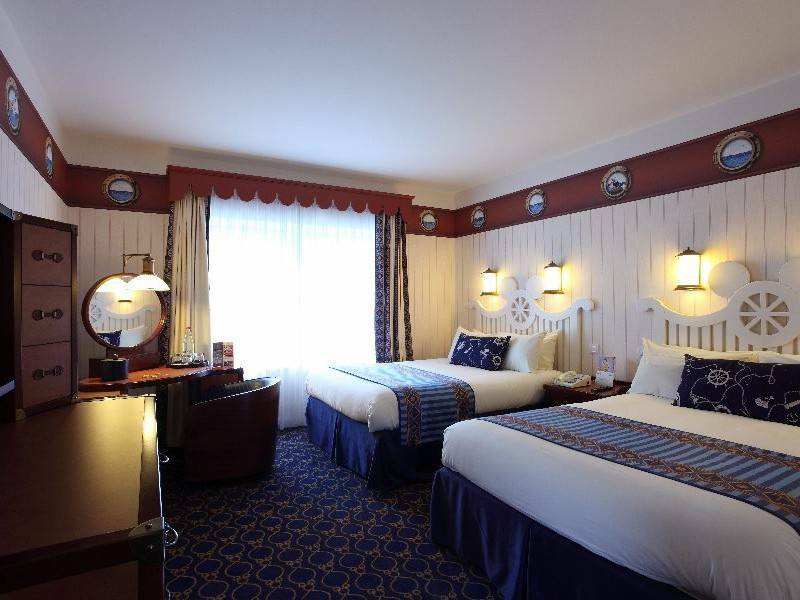 There’s nautical ambience aplenty, stylishly appointed to satisfy the captain’s every requirement. Ahoy there! “Sea Horse Club Game Arcade”(1). 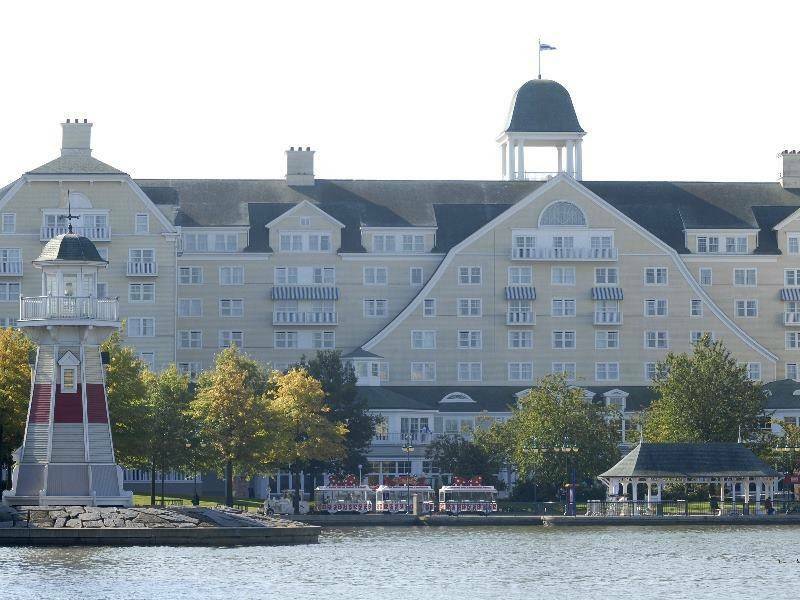 Enjoy an apéritif at the Fisherman’s Wharf with a view of Lake Disney®. 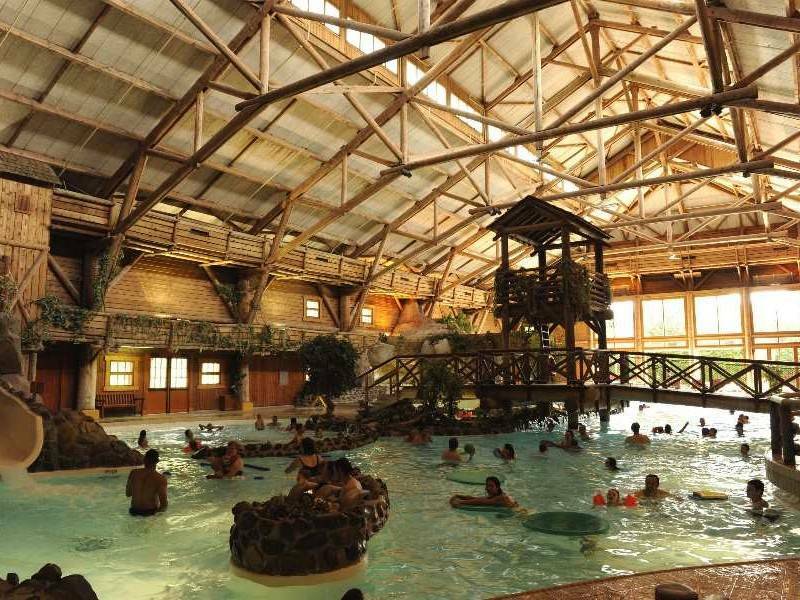 Indoor/outdoor swimming pool(2), jacuzzi(2), sauna(2), steam bath(2) and fitness room(2). Solarium(1)(2) and massage(1)(2). 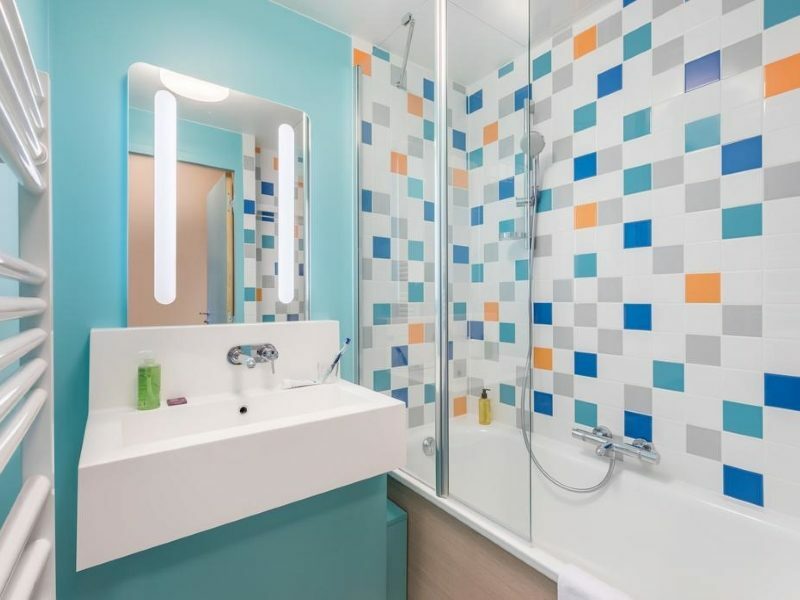 In nautical white and blue, your standard room has one large double bed or two double beds, a bathroom, telephone, television with international channels, air conditioning and safe. Scorching sun, giant cactus, monumental landscapes worn by time. America’s southwest awakens the dreamer in us, from the continent-crossing Route 66 to the bright colours of geometric Navajo design. What better place to take a siesta… or join the fiesta? Caramba! At the Rio Grande Bar, relax in the musical ambiance of the evening and enjoy karaoke or live singers on selected evenings. 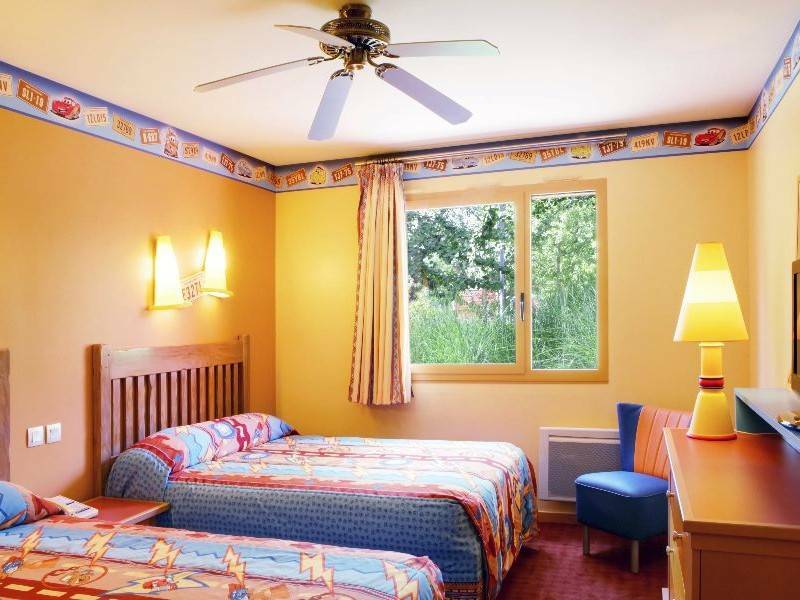 Cheerful and brightly painted, standard rooms have two double beds, bathroom, telephone, television with international channels and a ceiling fan. 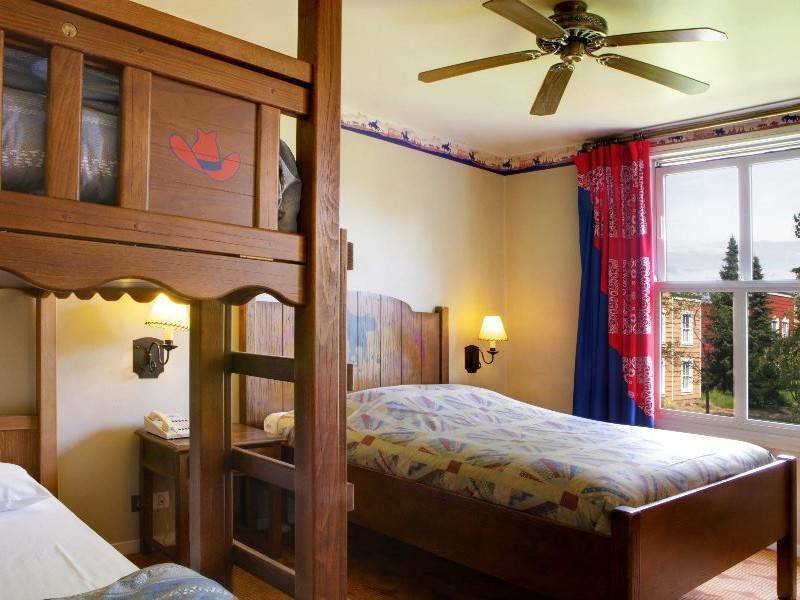 Round up the youngsters, put on your ten-gallon hats, and mosey on over to Disney’s Hotel Cheyenne. The authentic flavour of the Wild West is all around, in the best tradition of all your favourite classic Hollywood westerns. So giddyup! Follow your nose to our simmering cauldrons and taste the food of the cowboys at the Chuck Wagon Café buffet restaurant. Select your dishes from a choice of starters to the barbecue and other specialities of the plains of the West! Nature in all her majesty. A friendly smile from a park ranger. A warm glowing fireplace. Such are the precious moments to enjoy in this exquisitely recreated forest lodge, inspired by America’s vast national parks. Welcome! Discover the tasty meat, fish, cheese and dessert buffet at the Hunter’s Grill restaurant! 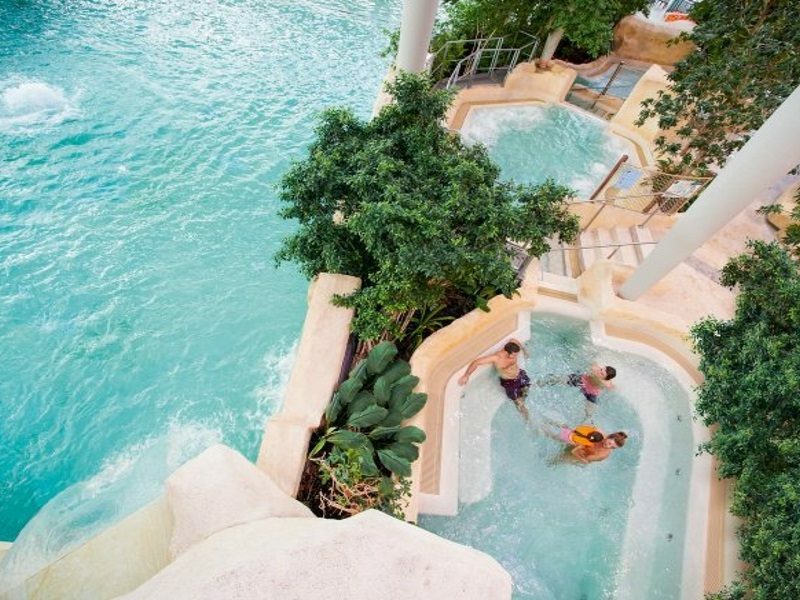 Indoor/outdoor swimming pool(2) with waterfall, slide and jacuzzi(2), sauna(2), steam bath(2) and fitness room(2). Solarium(1)(2) and massage(1)(2). 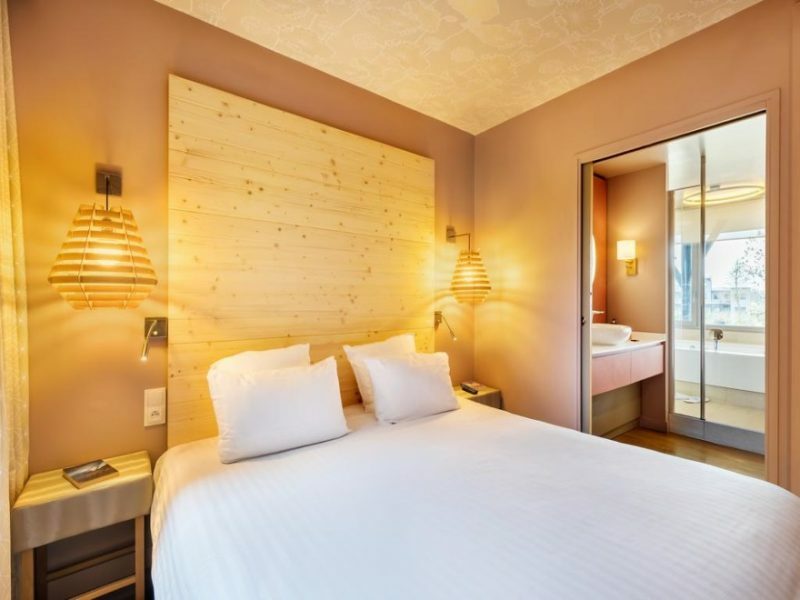 The standard, comfortable, cosy rooms, complete with natural wooden furniture, are either situated in the central building allowing direct access to restaurants and reception (Montana rooms) or in the lodges (Standard rooms). Montana rooms are equipped with minibars. 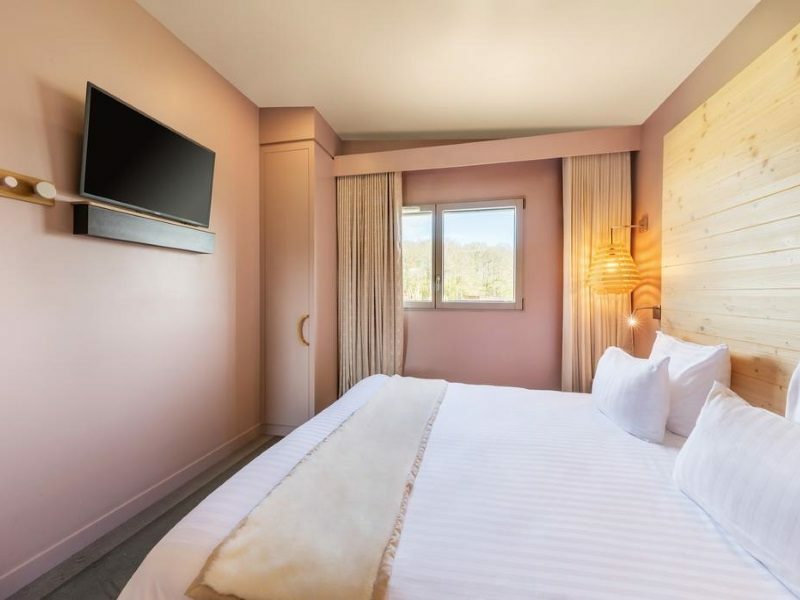 They have one large double bed or two double beds, a bathroom, telephone, television with international channels and air conditioning. Lake-side rooms available at a supplement. Just a 15-minute drive from the Disney® Parks yet seemingly worlds away, the legend of Davy Crockett is alive and well. Nestle into your own private bungalow and unwind in this quaint, rustic escape. 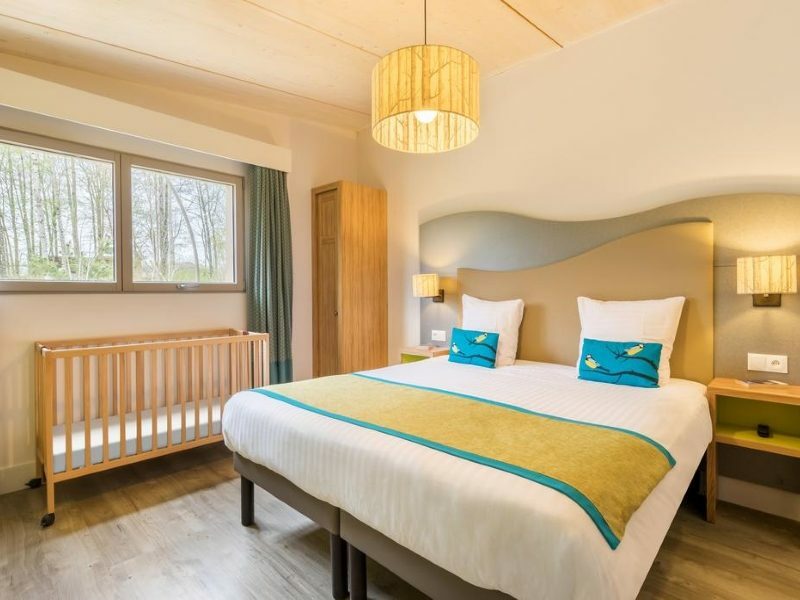 These spacious dwellings, harmonised within the tranquil woodlands of their natural surroundings, have become a family favourite with space for up to six people, wagonloads of outdoor activities, sports and leisure facilities and plenty of home-away-from-home amenities, like your own fully-equipped kitchen. Slumber to the sound of rustling leaves and awake to a symphony of chirping birds. 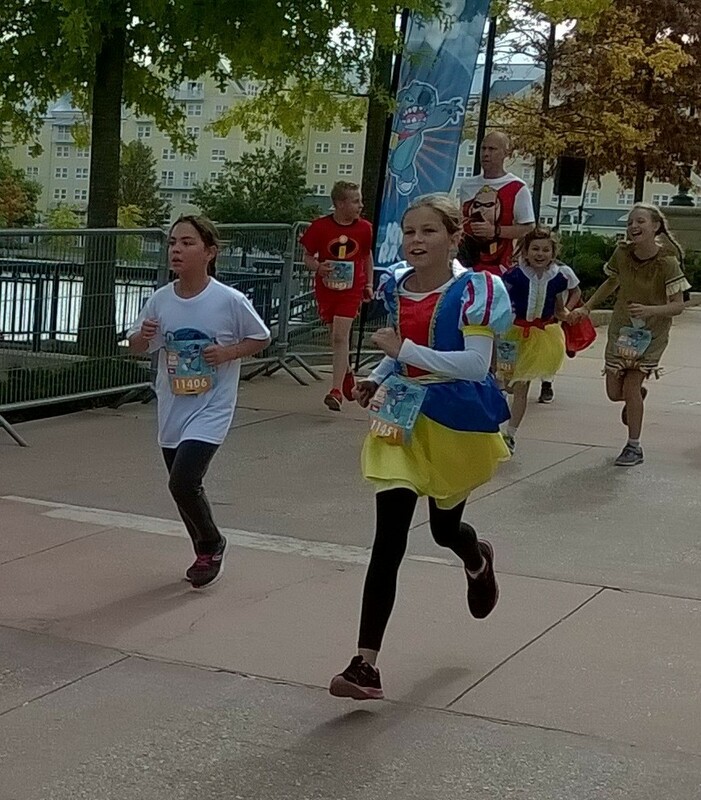 A safe, carefree environment with a magical touch of Disney. Naturally. 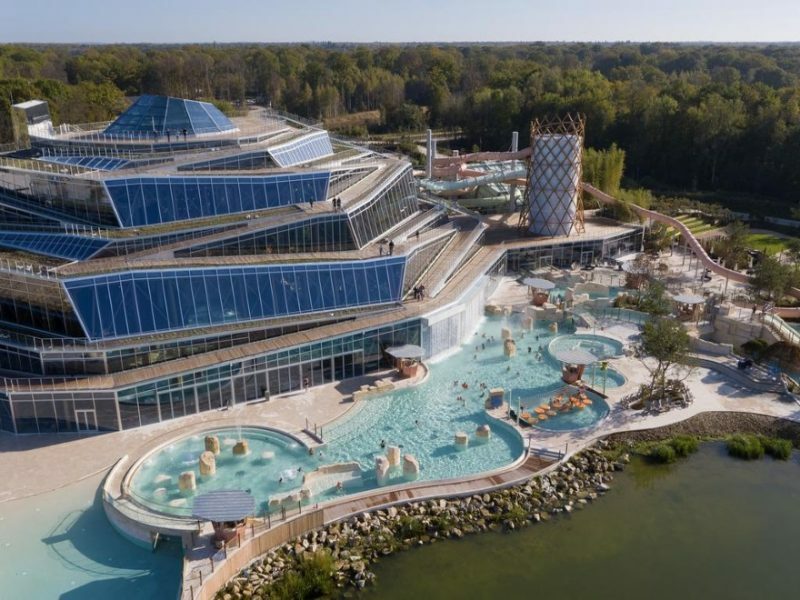 Disneyland® Paris, Villages Nature® Paris is an a typical holiday resort where guests can enjoy 5 themed areas including the Aqualagon, one of Europe’s largest water parks, which is heated year-round and features 7 slides, a wavepool and an outdoor pool with views of the resort’s lake. During their stay, guests can relax and learn about nature in the Extraordinary Gardens. Children can enjoy the playgrounds in the Forest of Legends and the Lait’s Play area in Bellevie Farm, where guests can also have a hands-on farm experience. 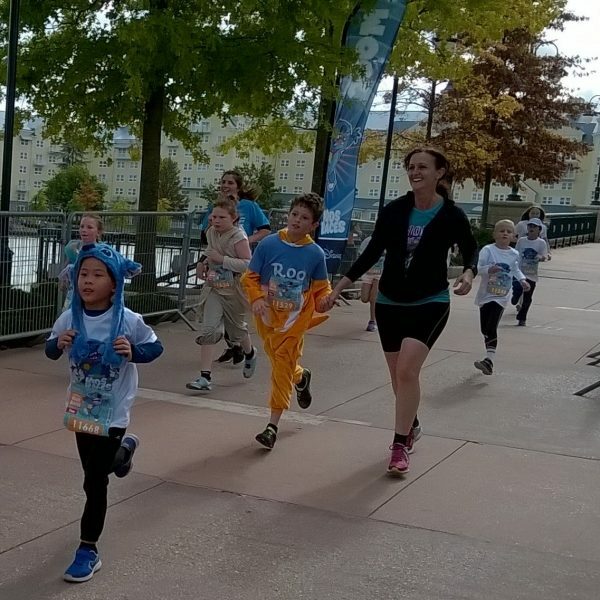 The Lakeside Promenade offers family entertainment including boat rental, bowling and a children’s club. 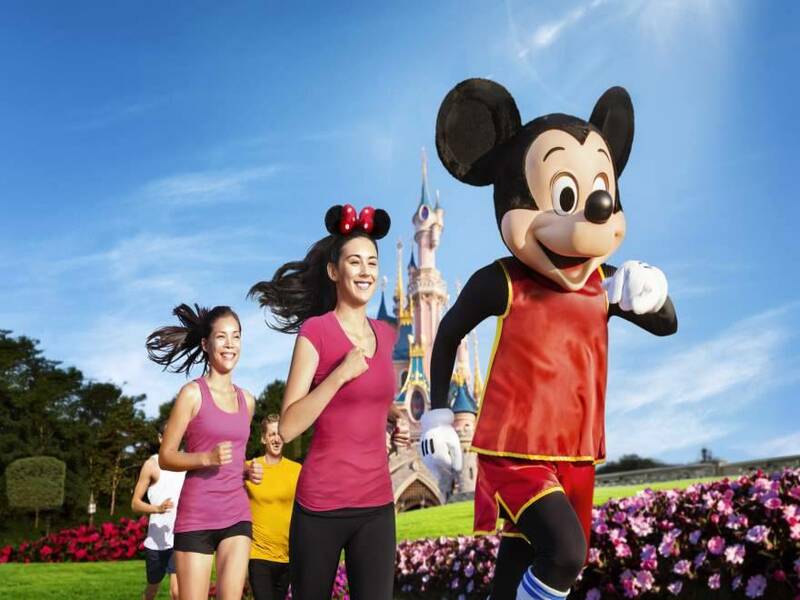 Other activities throughout the resort include segway rental and a selection of escape games and fitness trails. 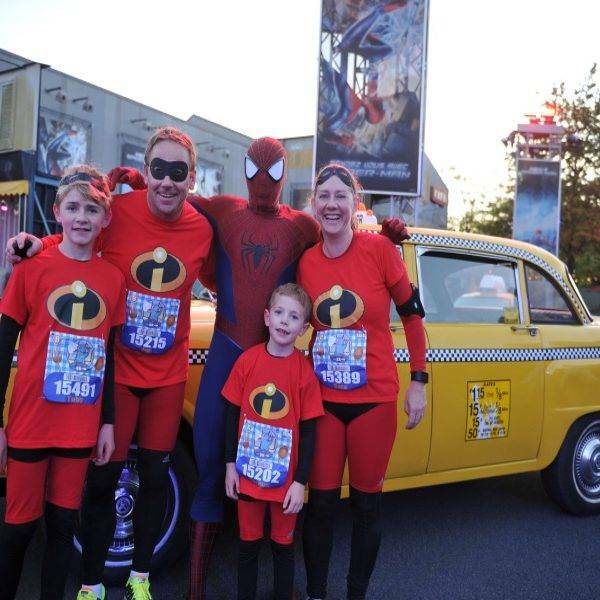 During your stay, guests can use the free shuttle service to travel around the resort. 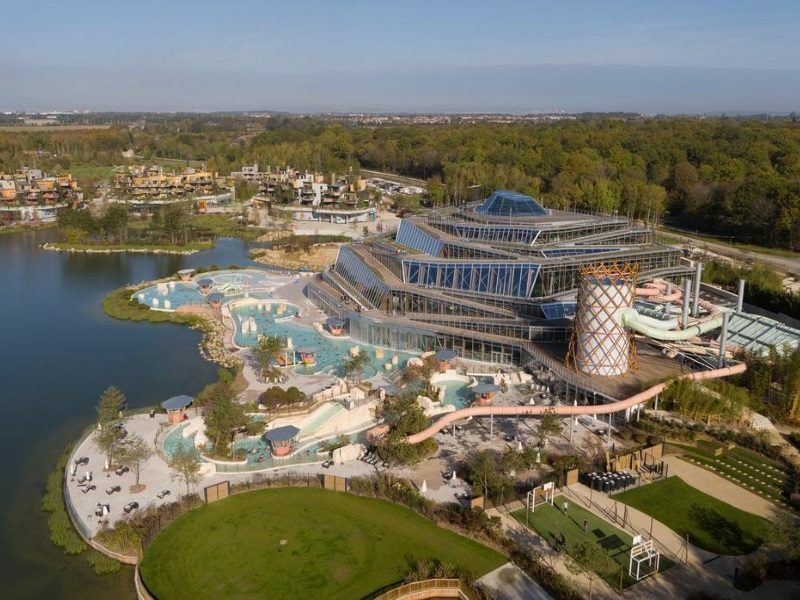 The resort is a 10-minute drive from Marne-la-Vallée-Chessy Train Station which provides direct access to Paris and Charles de Gaulle Airport. 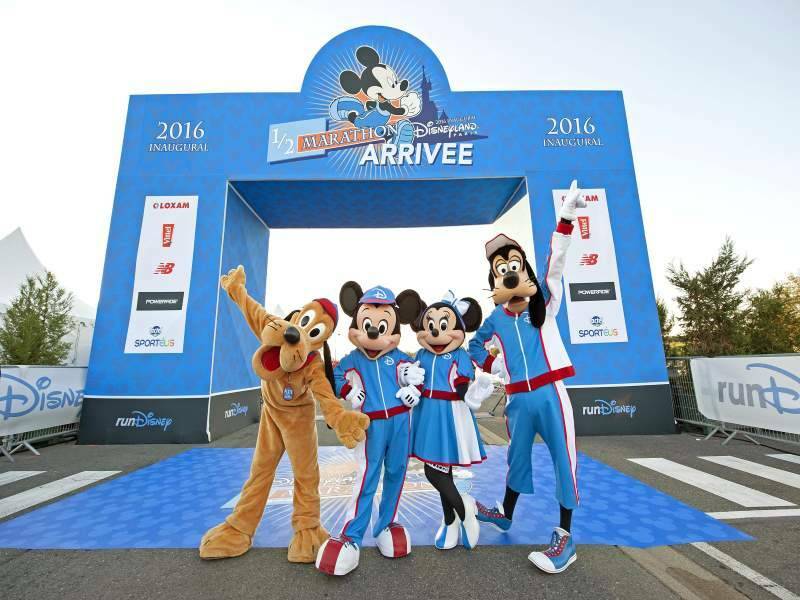 From Marne-La-Vallee-Chessy, you can use the Disney Shuttle (payable locally – approx €2 each way per person) to take you to your hotel. 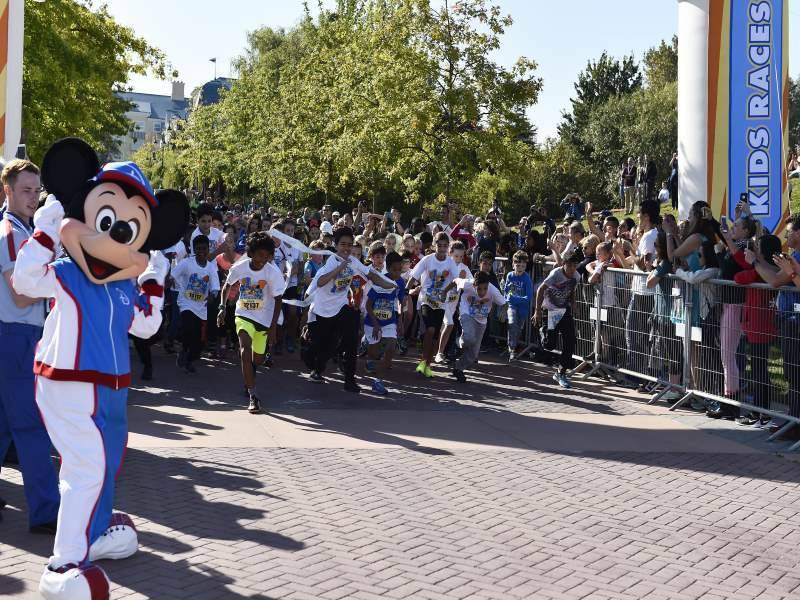 Guests will need to arrive by car when staying at Disneyland® Paris, Villages Nature® Paris , 1 or 2 free parking spaces are available, depending on accommodation types. 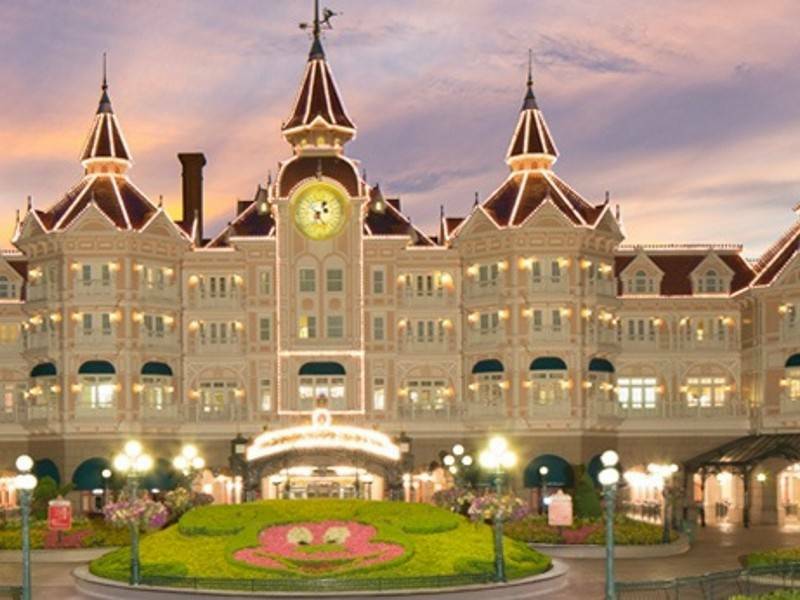 On the day of check-out, guests can make use of the resort’s activities until 23:00. 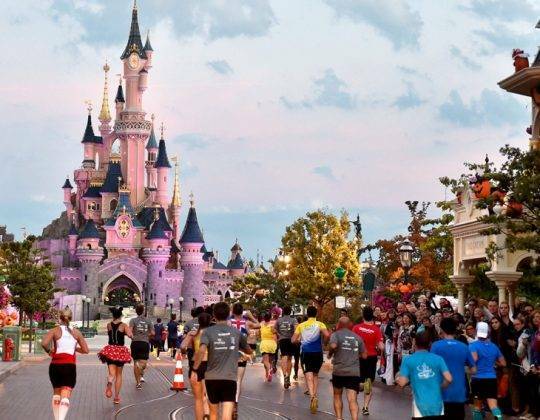 To take part in the 2019 Disneyland Paris Half Marathon, you have to present a medical certificate signed by your doctor stating there is no contra-indication to you taking part in a half marathon. You will need to produce this certificate in at the expo to pick up your race number. Alternatively by visiting Sports Medical Certificates, you can enter your details for an online medical certification. 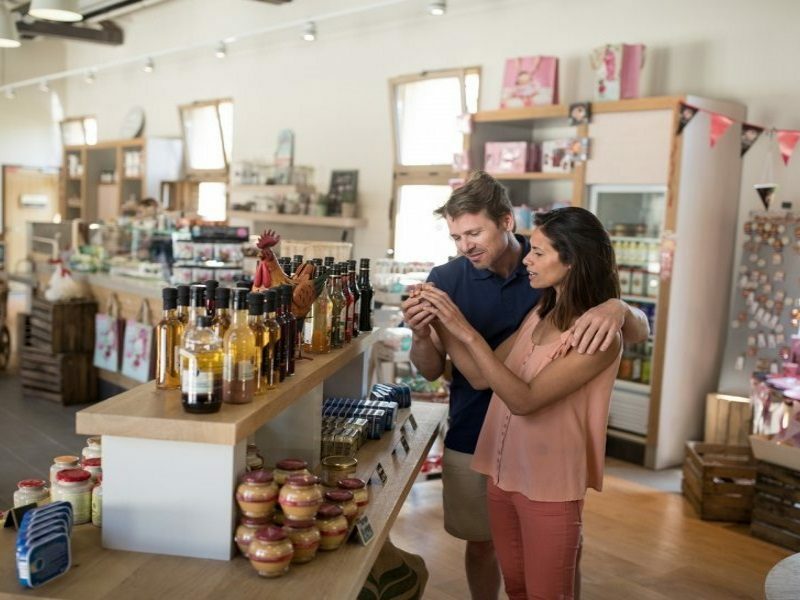 Sports Tours International can accept no responsibility for failure to comply with the need to provide a medical certificate, and no refunds will be given. As with runDisney events in the USA, you are welcome to dress up as a Disney character and help add to the spectacle of the event. 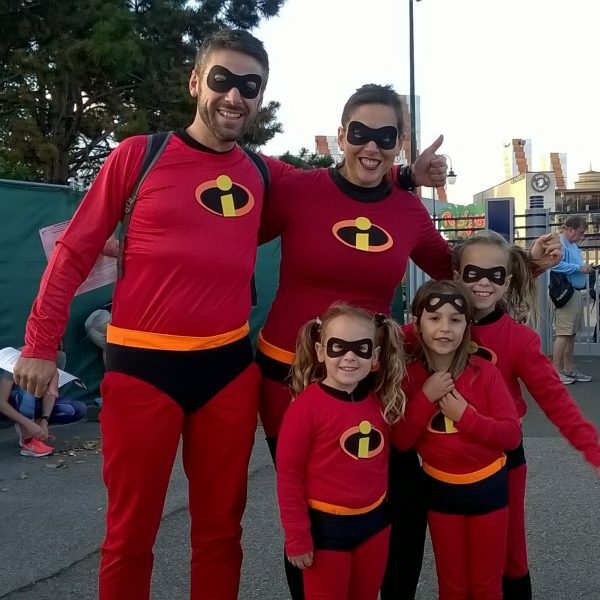 Costumes must be family friendly and appropriate for the occasion, so not long enough to trip up and do not wear masks or carry weapons of any sort. 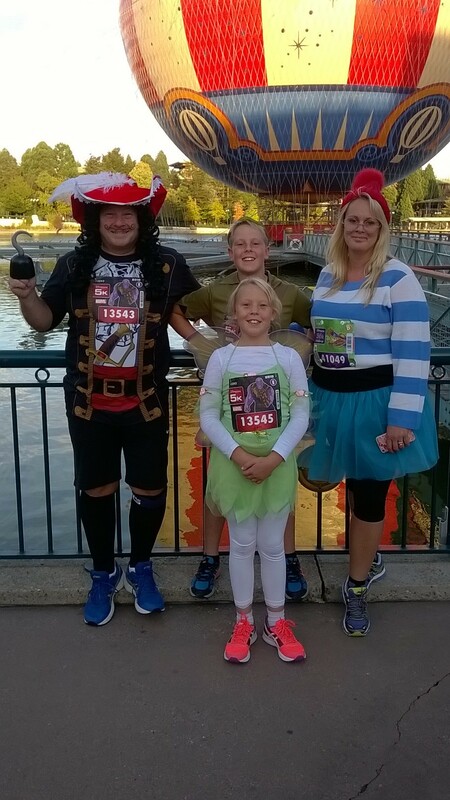 Please note, Disney reserve the right to deny admission or remove any person wearing attire deemed inappropriate for the occasion.